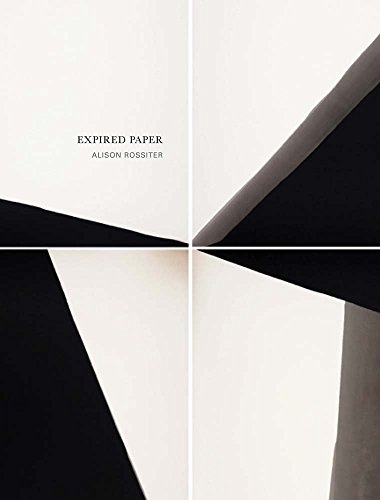 Book Review Expired Paper By Alison Rossiter Reviewed by David Ondrik Alison Rossiter’s monograph Expired Paper is a beautiful photobook published by Radius Books and Yossi Milo Gallery. It reproduces Rossiter’s recent photographic oeuvre of abstract, camera-less photographs that conceptually and visually owe more to minimalist and abstract painters than to photographers. By Alison Rossiter. Radius Books/Yossi Milo Gallery, 2017. 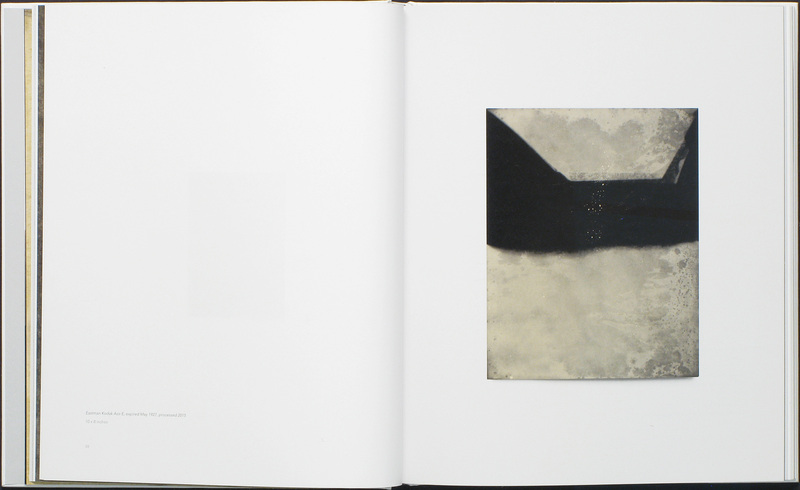 Photographs by Alison Rossiter. Text by Leah Ollman. 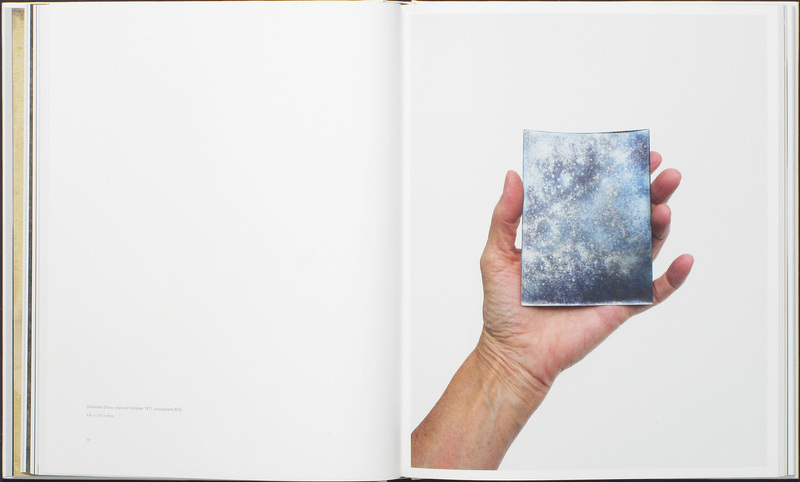 Radius Books/Yossi Milo Gallery, Santa Fe, New Mexico, USA, 2017. 196 pp., 90 illustrations, 11x12¾". 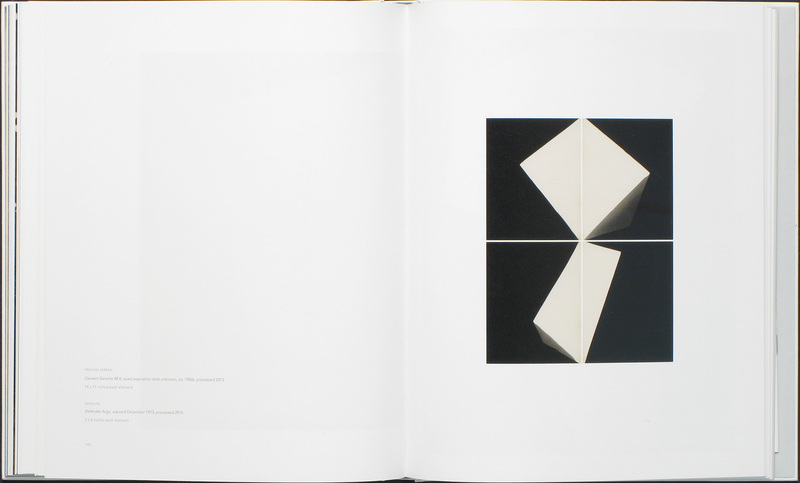 Alison Rossiter’s monograph Expired Paper is a beautiful photobook published by Radius Books and Yossi Milo Gallery. It reproduces Rossiter’s recent photographic oeuvre of abstract, camera-less photographs that conceptually and visually owe more to minimalist and abstract painters than to photographers. As such, Rossiter’s non-objective abstraction may not find its primary audience among photography devotees, as there are no straight photographs. Instead, there’s a range of (mostly) monochromatic images that are fundamentally about light, shadow, contemplation, and marks made with the passing of time. Because her work uses photographic materials in an unorthodox manner, it’s essential to address her process. For the most part, Rossiter uses antique, black-and-white silver-gelatin paper manufactured (and expired) in the early-20th century. Though the artist’s hand is present in the work, the images are very much in line with the Surrealist movement’s Automatic Drawing, where rational control was relinquished to allow the subconscious to come forward. Instead of exposing her expired paper to light through a negative and an enlarger, the images in Expired Paper rely on the latent image exposed over the long life of the paper. Even though silver paper may have been kept out of direct light, over decades the still-sensitive emulsion can be exposed to wavelengths of the electromagnetic spectrum that don’t normally cause a visible impact. The images Rossiter coaxes from the chemicals are visually abstract records of the paper’s history — how well it was preserved, the stability of manufacturing, temperature, humidity, cosmic rays, muons, etc. These vagaries are what has produced the resulting image. Rossiter’s titles reflect this, as well as playfully riffing on the convention of fact-based photographic titles. Rather than use the names of people and places, she lists the brand of paper, its date of expiration, and the date she processed it. This data-driven categorization, rather than a Pictorialist poeticism, harkens back to the photo traditions of observation, organization, and comparison that her work otherwise leaves behind. Expired Paper is separated into chapters that correspond to different bodies of work. While they all share the same process, each body differs in how the developer is applied. Latent resulted from immersing the silver paper fully in developer and accepting whatever image came up with minimal intervention by the artist. These works most directly reference Rothko and Ad Reinhardt, though they are intimate in scale rather than immense. The images in Tarnish all exhibit metallic silver precipitating out of the silver bromide (or chloride) in the emulsion. These are intimate photo-objects, which is emphasized by the unexpected inclusion of the hand holding each piece of paper. 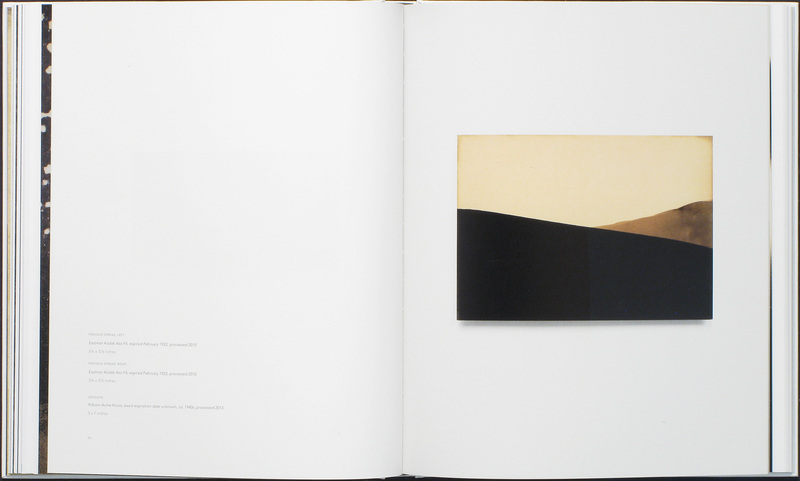 The opening image in this chapter, Defender Disco, expired October 1911, processed 2016, is a sheet of pure texture that simultaneously suggests Vija Celmins’ Night Sky drawings and Hubble Telescope images of nebulae and gas clouds. Landscapes, Pools, and Dips + Pours are all made by submerging part of the paper in developer to create the images. The way the Pools chapter is presented breaks with modern photo book conventions, as the reproductions of the images are folded and tipped in, rather than printed on the book paper. This allows the reproductions to be the same size as the original image without crossing the gutter awkwardly. It also changes the way a reader interacts with the book, as even the minor effort to pull back the folded paper to see the image demands a different type of attention and engagement that is very welcome, much like the intimacy of unfolding a letter. As an added surprise, at the end of the book is a tipped in catalogue of photographs of the original boxes within which the antique papers Rossiter used were stored. DAVID ONDRIK is an artist working with light sensitive media. He has an MFA from Indiana University and is currently a visiting assistant professor of photography at IU. His website is https://davidondrik.com/.